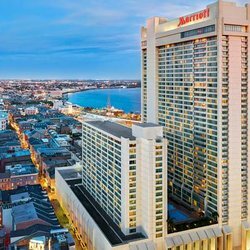 The National Association of Concessionaires (NAC) announced that it will return to New Orleans for the Concession and Hospitality Expo on August 7-10, 2018 at the Marriott New Orleans on Canal Street just off the French Quarter. The 2019 Expo will celebrate NAC’s 75th Anniversary in Sweet Home Chicago at the Fairmont Chicago on July 30-August 2. The NAC Concession & Hospitality Expo; which annually brings together the top food and beverage concession leaders in the recreation, leisure-time, and hospitality industry; is now successfully scheduled for the next four consecutive years. –	July 19-22, 2016: The Depot Renaissance Minneapolis Hotel in Minneapolis, Minnesota. –	July 11-14, 2017: Fairmont Scottsdale Princess in Scottsdale, Arizona. –	August 7-10, 2018: Marriott New Orleans in New Orleans, Louisiana. 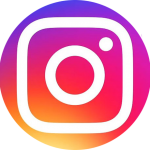 –	July 30-August 2, 2019: Fairmont Chicago in Chicago, Illinois. As announced previously, the 2016 Expo is scheduled for July 19-22 at The Depot Renaissance Minneapolis Hotel in Minneapolis, Minnesota. Information about registration, trade show participation and sponsorships will be released beginning in January, 2016. The 2017 Expo is slated for July 11-14 at the Fairmont Scottsdale Princess in Scottsdale, Arizona. More information about these events is available on www.naconline.org.